Step 1: Go to the member list of your guild. Step 2: Go to the profile of the member you want to find. And then click the profile settings of that member. 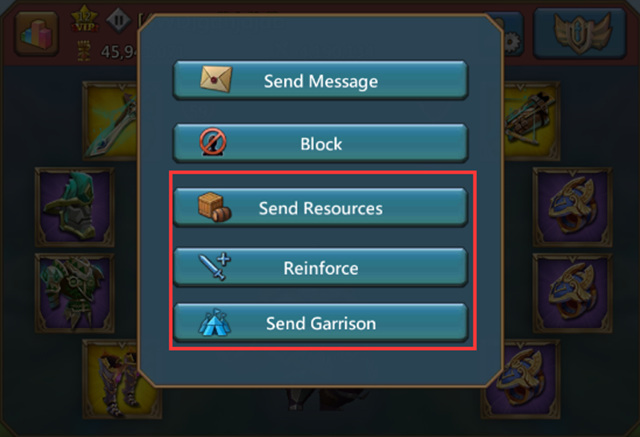 Step3: There has 5 option: Send Message, Block, Send Resources, Reinforce and Send Garrison, you can send resources or reinforce to that member, and then follow your supply troops to find your guild member. Of course, you can send a message to your guildmate to find them. 🙂 It's just a tip for the newbie. Previous Previous post: Lords Mobile Special Event: MORE Pacts for LESS Resources!